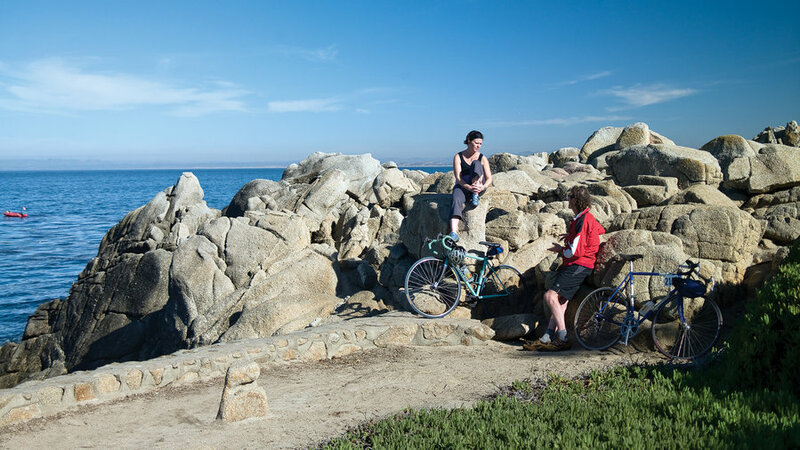 Pacific Grove’s rocky edge is made for cyclists. From Lovers Point, riding west threads you along a designated bike lane on the beach-side road for a nice, easy 4.7-mile ride. Stop often to watch foamy waves crashing over the rocks and sea otters at play. BYOB (bring your own bike) or rent one from Adventures by the Sea (from $7 per hour; 831/372-1807). 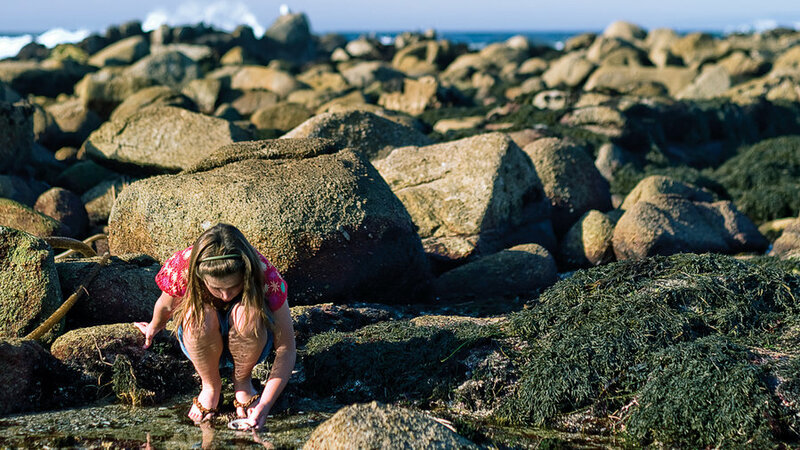 Pull off at Point Pinos, where kids look for seastars, hermit crabs, and turban snails in one of the world’s richest tidepool habitats. Afterward, take a quick detour down Lighthouse Avenue to visit the circa-1855 Point Pinos Lighthouse (free; on Asilomar Ave. between Lighthouse Ave. and Del Monte Blvd. ; 831/648-5716). Asilomar State Beach is a mile-long stretch of powdery sand and rocky coves backed by 26 acres of dunes. Surfers flock here; so do waterfowl, seals, and sea otters. Stretch your legs with a trek up the rickety boardwalk into the succulent-covered dunes. 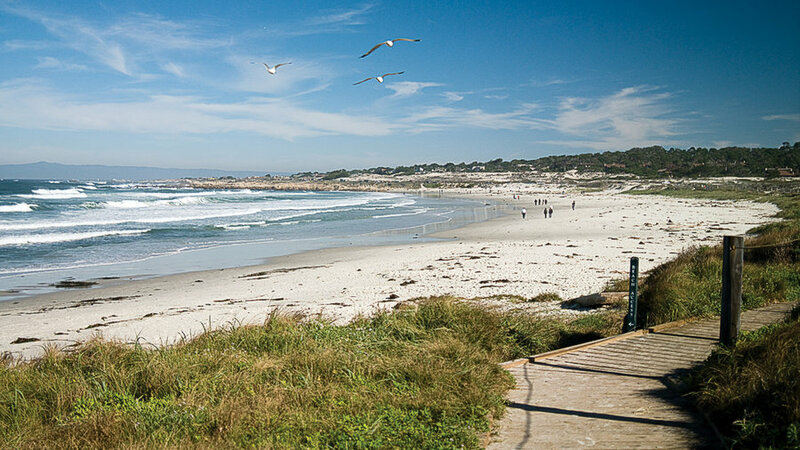 If you’ve still got energy when you hit the turnoff for 17-Mile Drive, pedal south through the Pacific Grove Gate (free for cyclists) to soar through the famously spectacular mix of velvet fairways and craggy coastline. If you’ve had enough cycling, turn north on 17-Mile Drive instead, then right onto Lighthouse Avenue, where you can explore downtown P.G. before sprucing up for dinner. P.G. is filled with restaurants committed to serving sustainable seafood, but the consensus is that Passionfish ($$; 701 Lighthouse Ave.; 831/655-3311) surpasses all. 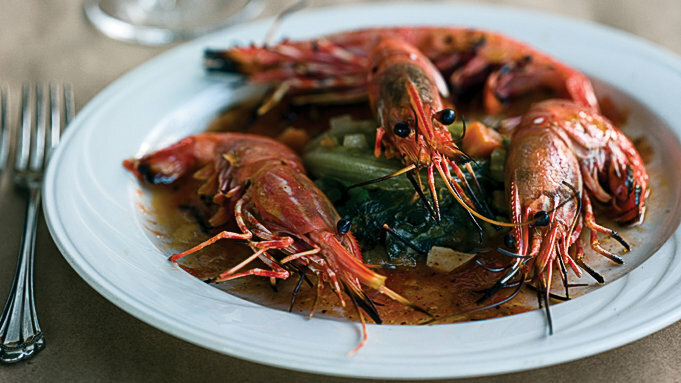 Reserve a table beforehand at this elegant but unpretentious favorite so you can savor the pepper-crusted sablefish, scallops cushioned on tomato-truffle butter, or local spot prawns (pictured) that you earned on your ride.